Sensitive skin requires very special attention, especially when it comes to choosing the right care products. Electric shavers for sensitive skin have a very difficult task. On the one hand, they need to be gentle enough, so as to not irritate the skin. However, they must also be powerful, to provide a clean shave in one go. Having to pass multiple times over the same skin area can cause irritations even if your skin is not particularly sensitive. With these things in mind, we took a look at what we considered some of the best electric shavers for sensitive skin we could find. Besides functionality and usability, we also took price into consideration. That’s why we limited our list to electric shavers that cost under $50. We trust that a powerful, but gentle electric shaver for sensitive skin doesn’t have to cost a fortune. 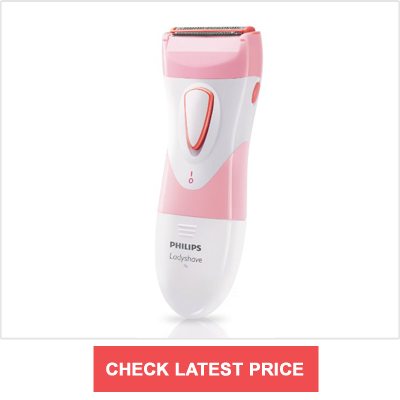 The Philips Ladyshave is one of the best electric shavers for sensitive skin for women, with no additional features other than a brush to clean the foil. What makes this Philips Ladyshave model so perfect for sensitive skin is that it is waterproof. This means you can use it for wet shaving. By using it together with a delicate shaving cream or shaving foam, your skin is less likely to irritate. Reviewers have also confirmed successful use on all areas of the body, including the sensitive underarms and bikini area. This model can be purchased on Amazon.com for $12.65, making it the least-expensive model on our list. But don’t let the low price of this electric razor for women fool you. While it may not have all the frills and additional features of more expensive shavers, it’s basic functions work superbly. 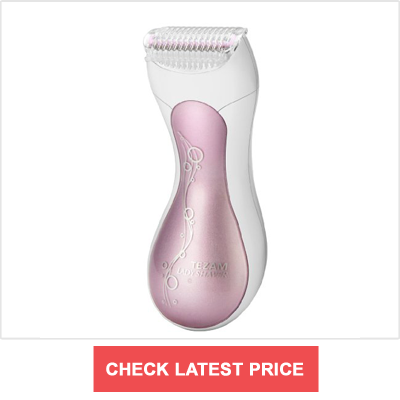 This three-blade shaver is another basic model designed for women. The Tezam electric shaver is an all-in-one product, meaning that it doesn’t come with any additional attachments. It does come with a brush for cleaning, but no pop-up trimmer or bikini guard. This shaver is also a wet/dry model, offering versatility in where or when you use it. In spite of the fact that it does not come with a bikini guard, reviewers comment that this product not only behaves well on the sensitive bikini and underarm area, but provides a smooth shave on awkward areas such as ankles and knees. Several users praised the ergonomic design of this electric shaver. It has a small comfort grip, which ensures you can shave even the most delicate areas without the shaver slipping. It also provides a surprisingly smooth and clean shave, without irittating your skin. You can purchase this shaver for $20.99 on Amazon.com. The Panasonic ES2207P is an electric razor is marketed specifically to women. It uses 3 floating heads to perfectly follow the contour of the body’s natural curves. This Panasonic electric shaver comes with a pop-up trimmer for longer hair or maintenance. Unlike some other products, both the foil and the razor beneath are hypo-allergenic to provide a clean shave without irritation. Users with sensitive skin have reported rash-free skin on the underarms and bikini area. This cordless electric shaver can be used either wet or dry. However, if you have sensitive skin, it is best if you use it with shaving cream or gel. The pop-up trimmer is also a nice addition that can provide extra comfort while shaving. To obtain the perfect clean shave, you can use the trimmer to prepare the area before shaving. You can also use the trimmer for delicate areas, such as the bikini line, if you find the shaving head too harsh. 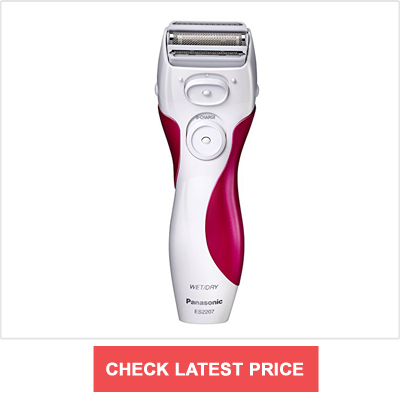 Because of its versatile design and low price, we consider the Panasonic ES2207P not just one of the best electric shavers for sensitive skin, but one of the best electric razors for women in general. The Panasonic electric shaver is an inexpensive option suitable for everyone, from beginners to those more experienced. This is listed on Amazon.com for $19.15. This wet/dry rechargeable shaver is a dream for any person with sensitive skin. The shaver head has a unique design, that ensures it will always be close to the skin, no matter at what angle you are holding it. In addition, it has a delicate almond oil strip, to moisturize your skin immediately after shaving. Unique to this model is the antimicrobial additive that inhibits the growth of harmful bacteria on the skin. While hypo-allergenic or steel blades go a long way to preventing razor-burn and bumps, the antimicrobial additive helps to prevent further damage to sensitive skin when it is already irritated. 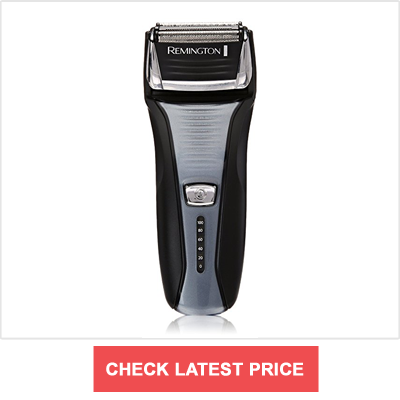 This Remington electric shaver also includes a double-sided trimmer, allowing you to trim from either direction. It also comes with a bikini guard, good for trimming longer hair as well. As a bonus, this Remington electric shaver comes with a traveling bag that also works as a storage bag. The only item of concern is the charge time, which, is 30 minutes of use per charge, while most other models carry at least a 60-minute charge. This model can be purchased for $34.99 on Amazon.com. The Remington F5 5800 is similar to the Remington WDF5030A. 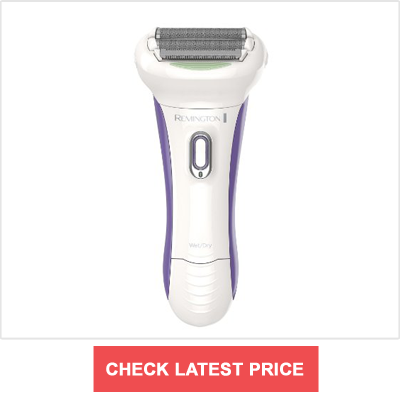 However, unlike the previous Remington shaver which was designed for women, the Remington F5 5800 is a men’s electric shaver. Still, it works just as flawlessly for women, as well. 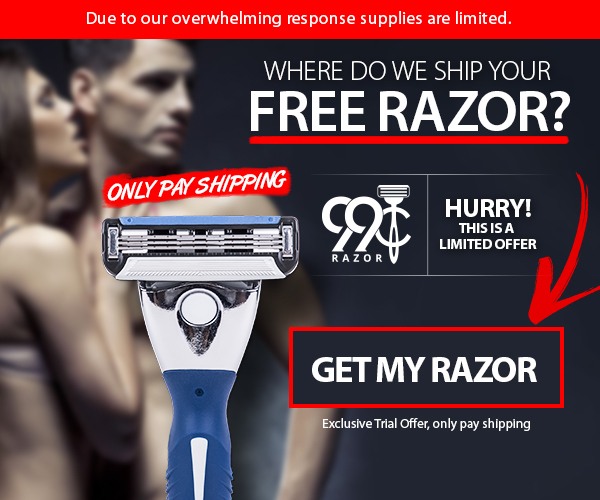 Unlike the electric razors we have listed, this is made strictly for dry use. This Remington electric shaver includes pivoting foils, which allow the blades to move with the skin over contours. The best feature is what the company calls “Intercept Shaving Technology,” which pre-trims longer hairs between the holes of the two foils. Even with this nifty feature, the company has also included a pop-up trimmer. We talked more about these features in our Remington F5 5800 review. Since this is a men’s shaver, it is designed to be used almost daily on the sensitive skin of the face. Male reviewers mention the close shave on their faces. Female reviewers noticed a smooth use on their legs and bikini areas – with no itchy, irritating rashes. This unit is on the upper end of our price scale, going for $43.17 on Amazon.com. Each person has unique needs based on their skin sensitivity and personal preferences. When it comes to choosing the best electric shavers for sensitive skin, for the beginner who doesn’t know exactly what they are looking for, the Phillips is a solid choice. It offers an intuitive experience with no confusing accessories or add-ons. For the experienced shavers out there, the Remington WDF5030A boasts the greatest array of benefits and ease for hair removal on sensitive areas. It provides moisture and antimicrobial benefits via the almond oil strip. It also includes attachments for most anything a user could need. And all this for an affordable price. This is why it tops our list of best electric shavers for sensitive skin.